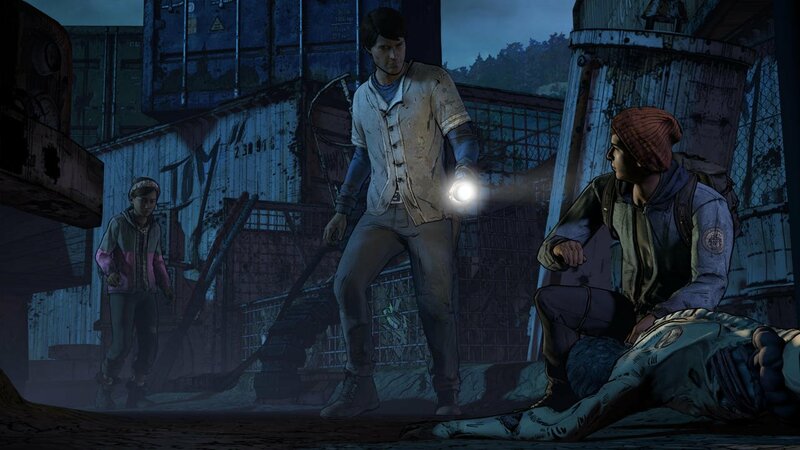 Throughout its first four episodes, The Walking Dead: A New Frontier was a largely uneven game that struggled to find a real identity. 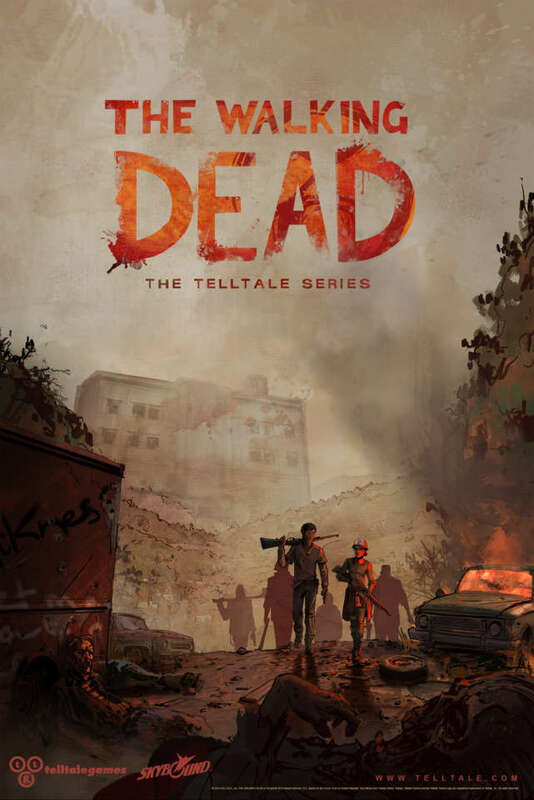 Story beats from past Telltale titles were repeated, gameplay was rarely present and the game resorted to old tricks when it attempted to shock the player. Despite this, I still had hope that everything could come together in the finale. There was still a chance for the fifth episode, titled From the Gallows, to do something meaningful. Unfortunately, I was wrong, and frankly, I feel stupid for expecting anything different. Seemingly every annoying trope from past games appears in the final episode. From watching events unfold despite your best intentions to the unavoidable deaths of characters that were already written out of other players’ games, it felt like Telltale was flaunting that character choices don’t really matter. Past games were built around protecting this illusion, but A New Frontier only serves to shatter it as if it was a Penn & Teller special. Not only is the illusion of choice bursting at the seams, but stale writing dominates much of the episode. It inexplicably treads tired ground by having you, for the third time in three The Walking Dead games, once again smear zombie guts over your body to sneak your way through a mob of zombies. What was a cool, and incredibly gross, scene in 2012 is now a boring moment that only serves to elicit frustration. There isn’t a fresh idea in the two hour episode, just old ones that have been driven into the ground at this point. Despite all of these problems, A New Frontier still could’ve been saved by a solid ending. 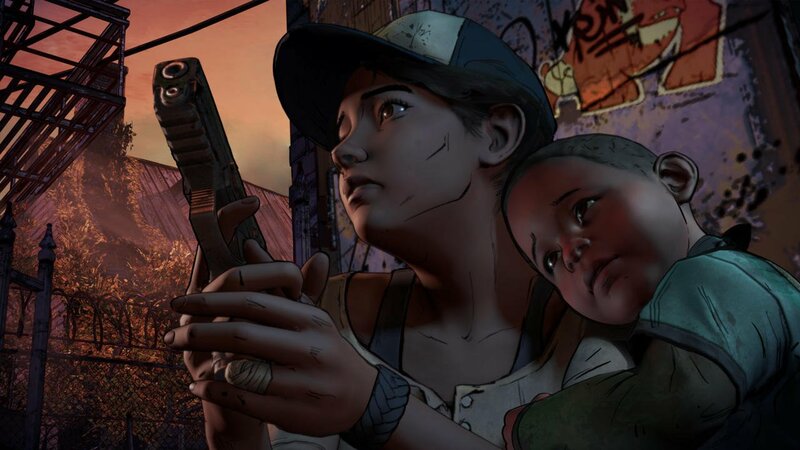 After all, players have spent three complete games watching Clementine grow as a character. As a fan, I desperately want to see her story out. I wanted to see her fulfill her goal in the series – finding Alvin Jr. – and get some sort of closure on the matter. Not only does that not happen, as the game has the gall to end with an advertisement for yet another season, but it doesn’t even manage to put a bow on Javier’s story. When I saw the ending, it finally hit me as to why A New Frontier received the title it did. 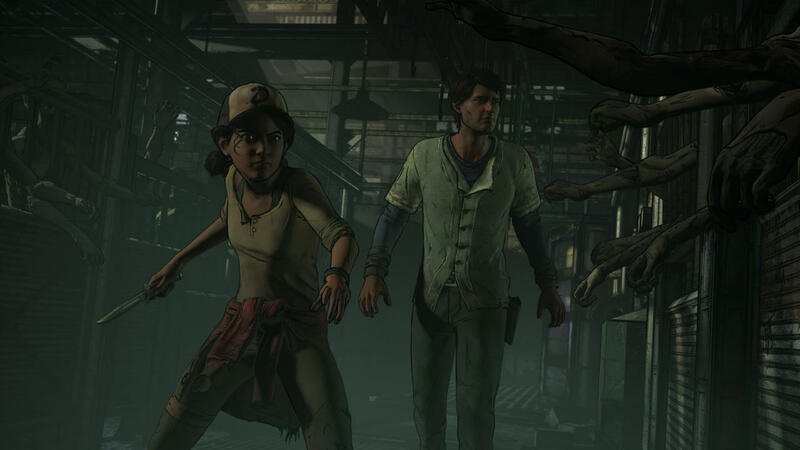 The reason for it not being named season three wasn’t due to Telltale wanting to start a new story, but because it’s a non-essential side story. While some backstory is doled out during its five episodes, nothing of real consequence happens for Clementine. She gets a haircut and has an awkward conversation about her changing body with Javier. That’s about all the game has to offer in terms of longterm development. 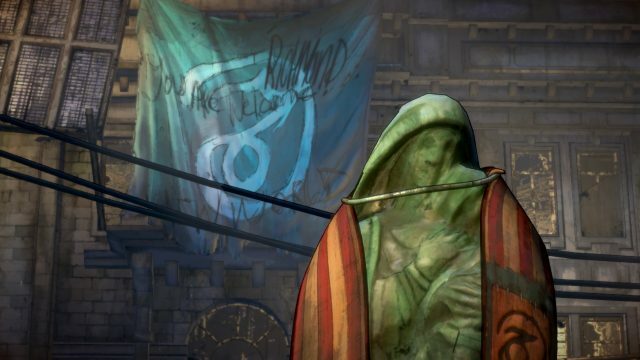 “Clementine’s story will continue.” That’s the final message to the player. This moment is supposed to be celebrated, but it feels more like a threat than good news. It’s not fun to see something that once was great, and close to my heart, become synonymous with mediocrity. Nor is it entertaining to see Telltale go from reinventing the adventure game genre to single-handedly saturating the market with uninspired stories. The end result is merely sad. But I’m part of the problem. I kept watching The Simpsons even after it was just a shade of its former glory, and when the next season of The Walking Dead releases I’ll be looking forward to seeing Clementine again. Against my better judgement, I’ll hope that something will have changed. In one of From the Gallows‘ few meaningful moments, Javier’s brother David talks about why he doesn’t believe in hope anymore. Personally, I’m not ready to throw that hope away just yet, as it might be the only thing I have left. A New Frontier feels a lot like the season one DLC that was called 400 Days. It introduced fans to a whole new cast of characters, got them to care about them, and ultimately did nothing with the gang. They later showed up in the second season as extremely minor characters, as Telltale wasn’t going to hinge important story beats on something that everyone didn’t play. It remains to be seen what will happen to those that survived this season, but I get the feeling that it’ll further drive home that nothing the player ever did actually mattered. As such, The Walking Dead: A New Frontier is largely pointless. Those looking for any sort of resolution, for either Javier or Clementine, will have to wait for the inevitable third season, as there’s no payoff here.